Style guide created for Valentine’s Day, including printed pattern, cat, bird and flowers. Style guide created for the winter holidays, which were used to create velvet art kits. 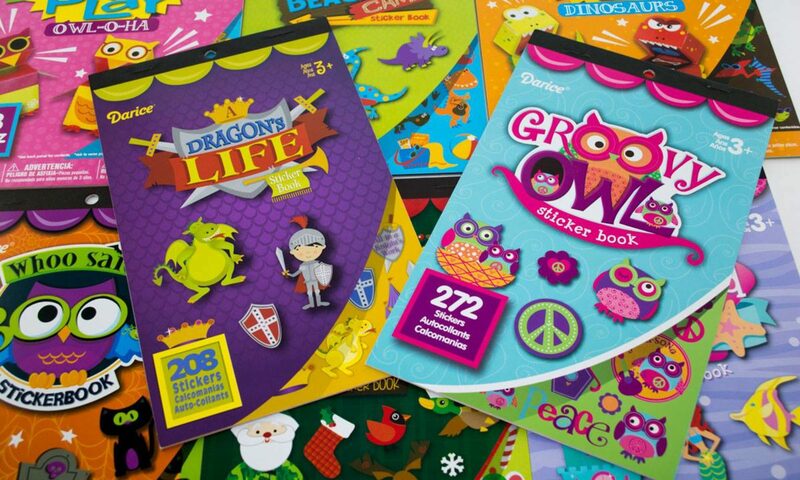 Style guide created for Groovy Owls, which became (clockwise from left) Foam Owl Kit, sold at Michael’s stores in the spring of 2012 & 2013, Foam Owl Bucket Kit, currently sold at JoAnn stores, Groovy Owl Sticker books, sold at both Michael’s and JoAnn stores, Spring 2012 & 2013, Owl Paper Plate Kit, sold at Michael’s stores in the spring of 2012 & 2013. 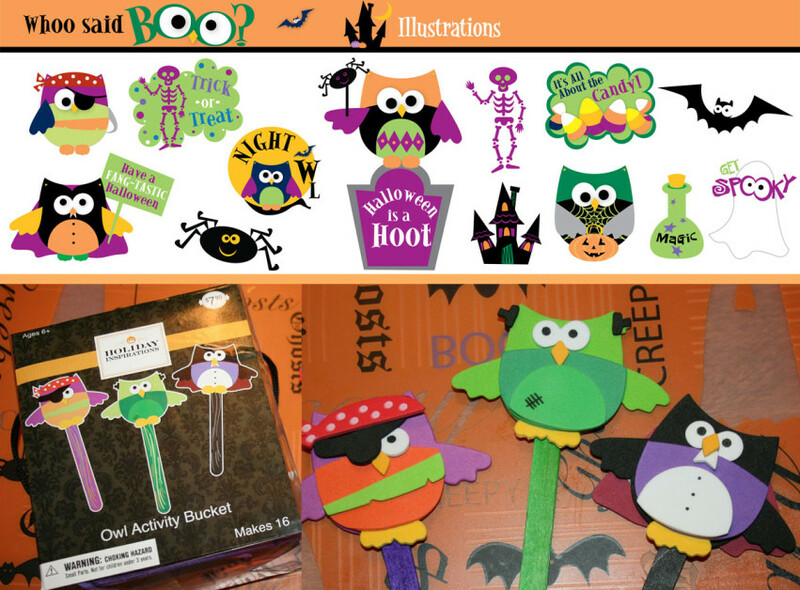 Style guide created with Halloween themed owls, which became (top photo) Foam Owl Kit, sold at Michael’s stores in the fall of 2012. 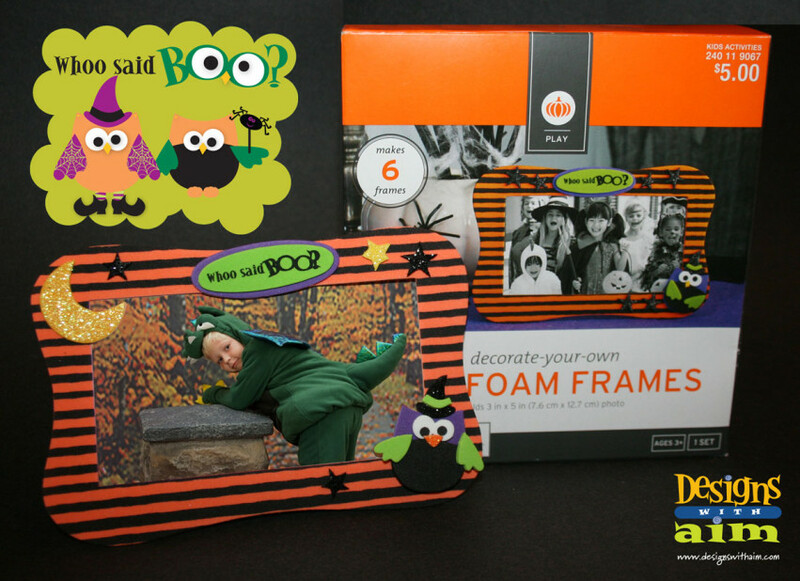 Foam picture frame, sold at Target stores in the fall of 2012. Illustrations completed for velvet pictures, and various stickers for sale at JoAnn stores, Spring 2012 & 2013.